We decided to do the “scenic drive” around Victoria. 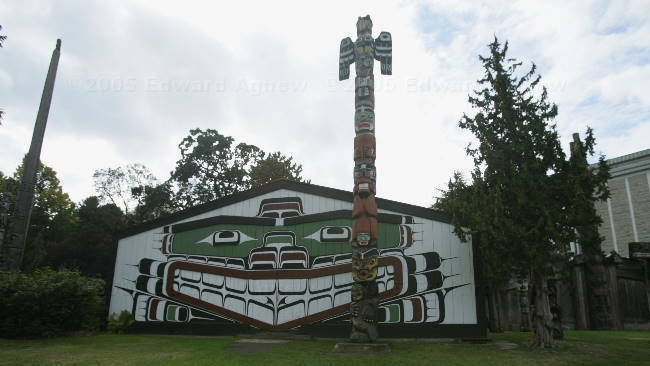 As one end of the drive starts in downtown Victoria we headed there. It is a quite pretty downtown and a parking spot presented itself, so we decided to stop and walk around. As Zaph was in the truck, he got to joined the tour as well. 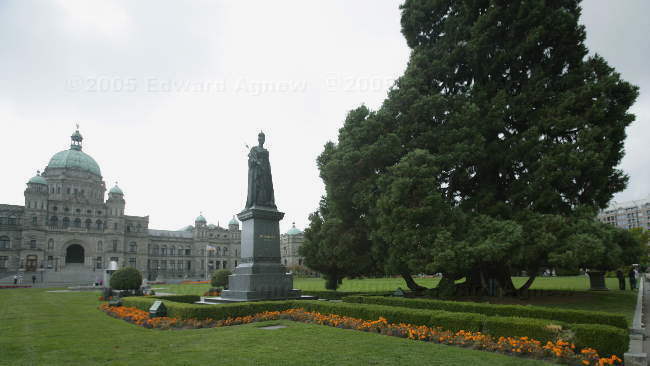 We walked around the harbour, provincial parliament buildings, the Empress Hotel, and other attractions. Perhaps the most interesting part of the walk was the number of people who stopped to pet Zaph. One man positioned himself so that Zaph had to stop to see him, another man hurried behind us calling that he wanted to pet the dog and yet another man stopped to pet Zaph and his wife came back and hurried him on – I don’t know if they were heading somewhere with a time frame or she didn’t want him petting “strange dogs”. 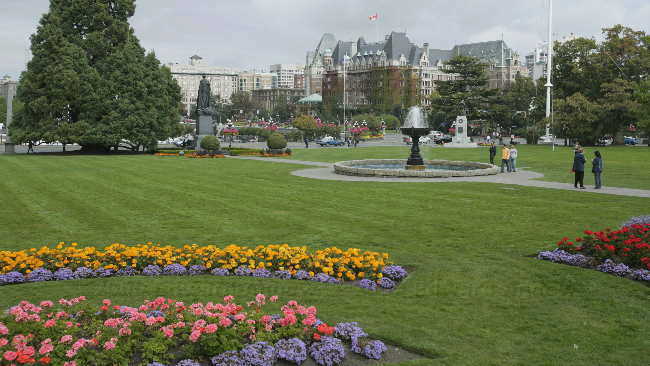 Victoria is a beautiful city and the remainder of the scenic drive supported that feeling. There are several picturesque small craft marinas, many beaches, lots of parks with trails for walking and beautiful gardens. 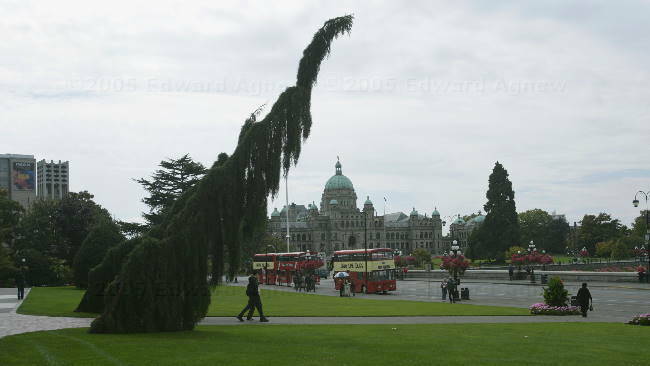 only in Victoria? 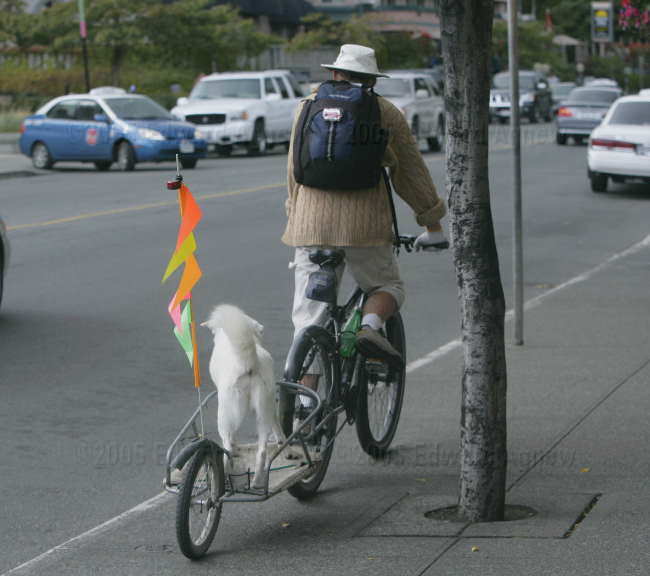 A dog seat on a bicycle.